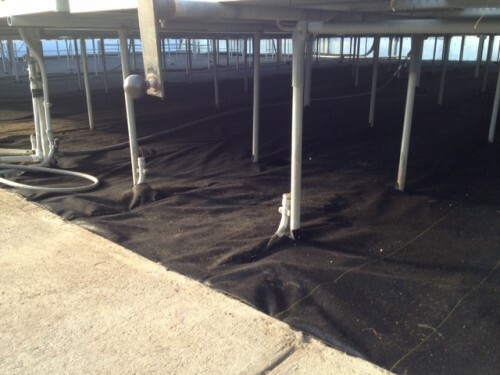 The Delta-T heating system we purchased will deliver heat where it matters most to plant development, the root zone. Everyone knows that a healthy plant must have a healthy root system. 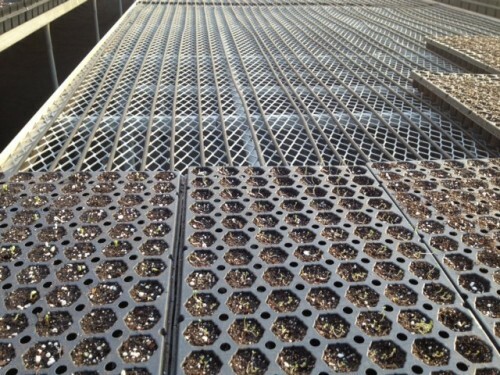 To insure all Growers Exchange herb plants fill their pot with vigorous roots, we will keep soil temperatures at 65 degrees to stimulate rapid root development. To keep the green plant tops from growing too quickly, the air temperature in the greenhouse will be at 50 degrees at night. Growth is slower at cooler temperatures so the stems are thicker and stronger. The stem length between nodes is shortened, creating a symmetrical plant. Bottom heat will also allow us to propagate more plants from cuttings. Many herbs like rosemary, lavender, and mint are best increased by vegetative propagation, also known as cloning. A mist system keeps the non-rooted plant stems hydrated until the warm soil promotes root growth. In about a month a new plant is ready to be re-potted. Tropical herb plants like Lemon Verbena, Lemon Grass, Vietnamese Coriander, Dill, and Basil will also benefit from the new bottom heat. Try as we do, some days we can only keep the greenhouse but so warm. Wood fired space heaters warm the greenhouse air; but some winter days only so much heat is possible. Now we will be able to keep the root zone of these tropical herbs at their desired 65 degrees no matter what is happening outside. As greenhouse growers, this new bottom heat is as exciting as Christmas! We will have plenty of herb plants ready for spring planting. 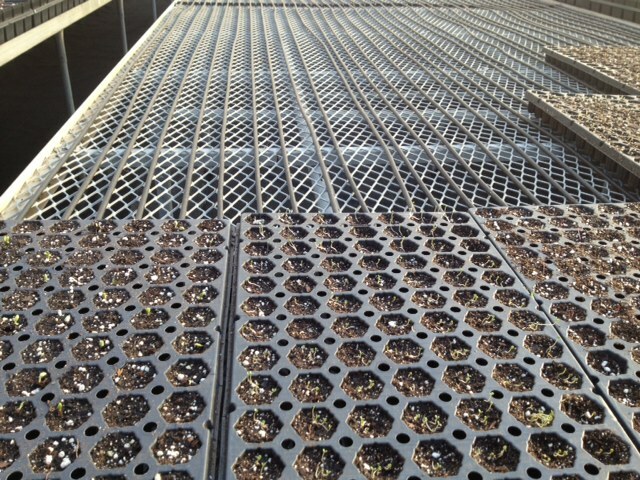 The bottom heat helps the seedlings prepare for Spring. 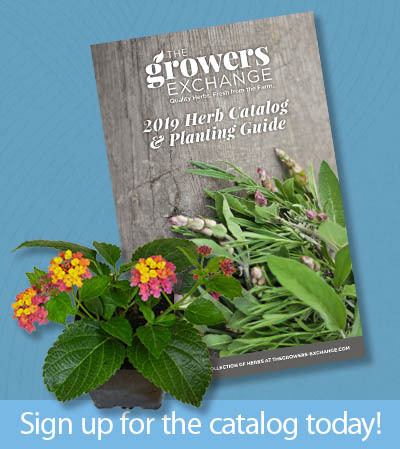 Winter is the best time to plan your herb garden. Don’t forget to order early, many herb plants are grown in limited quantity. And a tip from a greenhouse grower: have plants sent as early as your planting zone allows. Looking for Barr’s Mammoth Asparagus roots or, seeds! !